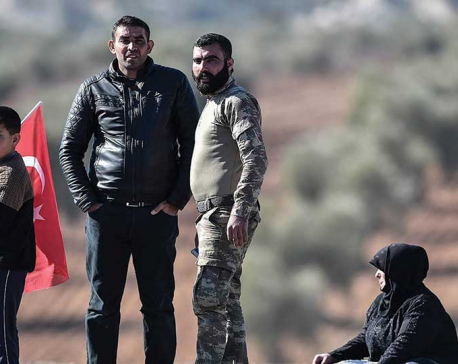 A bomb blast killed at least four people and wounded many more in a rebel-held town in northern Syria near the Turkish border on Wednesday, the Syrian Observatory for Human Rights monitoring group said. The explosion hit the town of Azaz, which has long been an important base for rebels, including groups backed by Turkey. There was no immediate claim of responsibility for the blast, which the British-based Observatory said was likely from a car bomb.